It wasn't difficult to meet. 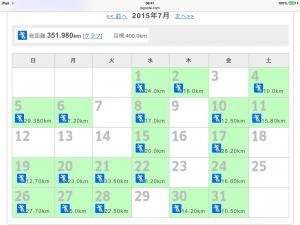 SO, I just increased another 100km for July's target without thinking much. That's why, I changed it and decreased it to 350km. Well, I made it. 350km at least. Maybe more longer runs once in a while. I've been running many marathon around the world. This is my very first Ultra event and also the first fundraising run. I run for my own challenge and for kids in Nepal. copyright © 2019 Penang Ultra Marathon 84.5km ペナン島一周マラソンへの記録 all rights reserved. Powered by FC2ブログ.